Did you miss the Employment Law Year in Review webinar? Today is your lucky day. Hear experts from Global Upside, Matheson Law and Global PEO Services on doing business in Europe with insights on the latest in Europe’s HR, Finance and Employment Law. Employment Law overview – common missteps to avoid. AccuSource discussed 2018’s biggest compliance topics in its annual webinar , but here is a summary of those items in case you missed it. As the weather gets colder, 2018 is drawing to a close and 2019 is days away. The compliance world was busy this past year. For that reason, it’s important for supervisors and managers to understand the basics of employment laws and regulations to maintain proper compliance. At-Will Employment. Age Discrimination in Employment Act (ADEA). To listen to the entire webinar recording, click here. Founder David Ehrenberg breaks down exactly what you need to do to protect your small business from the biggest employment risks. Why worry about employment law risks when you have enough things to focus on: building your team, getting traction, and lining up funding? The 2016 legislative session produced new laws affecting California employers’ day-to-day operations and policies in 2017 and beyond. Some of the new laws, such as the minimum wage increase, make significant changes to California’s legal landscape. Register now! This has been a crazy year as far as employment law is concerned. And if you’re an HR practitioner or an attorney, or just really like to learn things, have I got the webinar for you. click here: Employment Law Year in Review 2017. Join international business experts from Global Upside, Matheson Law and Global PEO Services for a webinar on doing business in Europe that includes the latest in Europe’s HR, Finance and Employment Law. Employment Law overview – common missteps to avoid. Did you miss the best webinar EVER? The post The 2017 Employment Law Year in Review appeared first on Evil HR Lady. You might have because it became so popular we had to turn people away, as the system would only support so many people at once. But, don’t fret! Thank you to everyone who tuned in to “The Employment Law Year in Review” webinar we hosted yesterday. A couple of housekeeping items: If you signed up, Jon Hyman will be emailing you a link to both the slide deck and a recording of the presentation. And here are the cheat codes for people who didn’t sign up [ video // slide deck ]. Because lawyers love to talk, we ran out of time to address audience questions yesterday. Sorry about that. Last week, I had the pleasure of presenting, along with four other “top employment law bloggers” (at least according to Corporate Counsel ), plus the Evil HR Lady herself, Suzanne Lucas , a webinar entitled the “Employment Law Year in Review.”. Finance Webinar employment contracts Employment law experts FAQs finance hiring hr human resources on-boarding open house payroll questions webinarDo you need help with your international Human Resources, Payroll, and Finance questions? Global Upside will be hosting virtual open house sessions where our global HR/Payroll and Finance experts will focus on the unique challenges of operating in France, Brazil, and China. Do you enjoy webinars? 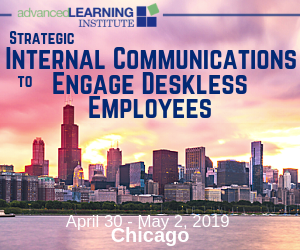 Do you have an affinity for six of the internet’s top labor and employment law and HR bloggers coming together to present said webinar? Register now for our one-hour recap of all the big employment-law and HR-compliance news of 2017, along with some practical tips to help you prepare your workplace for 2018. Live webinar is mobile-optimized for viewing on tablets or smartphones. Under California’s watchful eye, specific laws regulate the hours and days that nonexempt employees work. But staffing a workforce can be unpredictable, and employers need some flexibility in scheduling. To register, visit the link below: Check-In: EEOC, DOL and NLRB Compliance—A Labor and Employment Law Roundtable. Participants will have the opportunity to earn one free CLE credit by attending the live hour-long webinar. Image Credit: Pixabay.com ([link]. Live webinar is mobile-optimized for viewing on tablets or smartphones. Misunderstandings about California’s meal and rest break rules—including requiring employees to stay onsite—expose employers to expensive litigation. New laws creating industry exceptions, including Proposition 11. Live webinar is mobile-optimized for viewing on tablets or smartphones. CalChamber’s HR webinar on September 20 reminds California employers of how important and essential it is to make sure supervisors are well-versed in California’s employment laws. A few weeks ago, I reached out to some of my favorite employment law bloggers to gauge their interest in collaborating on a year-end webinar. I had one date circled — one date between now and the end of the year. California Employers: If you’re not up to date on new employer obligations for 2016, don’t miss CalChamber’s live webinar on January 29. 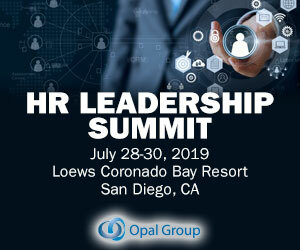 Join our employment law experts for an insightful review of recent legislation, including changes to California’ gender wage equality laws and employee leave protections, enhanced enforcement powers for the Labor Commissioner and more. The webinar will clarify ammendments made to the law in July 2015. The session, entitled “Check-In: EEOC, DOL and NLRB Compliance—A Labor and Employment Law Roundtable,” features an all-star panel of lawyers* and will explore each federal agency’s current compliance environment, enforcement priorities, practical guidelines for navigating difficult compliance issues and best practices. To register, visit the link below: Check-In: EEOC, DOL and NLRB Compliance—A Labor and Employment Law Roundtable. Image Credit: Pixabay.com ([link]. Continuing its tradition, California rings in the new year with changes to employment laws. Did you also know that employers can now be accountable for wage-and-hour violations when they use staffing agencies or other labor contractors to hire workers? Fortunately, it’s not too late to learn more about these and other noteworthy new laws. In fact, anyone with employees in California will benefit from our employment law experts’ compliance guidance. Join our virtual open house sessions where our global HR and Payroll experts will answer your specific questions on: hiring, on-boarding, employment contracts, employment law, benefits, payroll, terminations and more. A parental leave mandate for smaller employers is just one of the new employment laws in effect since January 1, 2018. If you’re not up to date on your obligations as a California employer, don’t miss CalChamber’s live 90-minute webinar on January 30. But it’s up to employers to inform employees that they’re entitled to both a meal break and paid rest breaks. Timing is everything because California employers must let employees take their meal break at the proper time. “It Meal and Rest Break webinarRegister Now! When it concerns wage-and-hour laws, California requires more of employers than at the federal level. There are a number of pay issues that affect California employers, so it’s important to understand your legal requirements. Compensation webinarRegister now! Running a small business is tough, and managing your compliance with California and federal employment laws isn’t always easy. Just ask the businesses who thought they were following the law until faced with costly fines and penalties for breaking California labor and employment laws. View the archived video recording of our recent webinar – Avoiding HR Compliance Traps In Your Business. CLICK HERE view the webinar recording. The post Webinar Recording – Avoiding HR Compliance Traps In Your Business appeared first on. 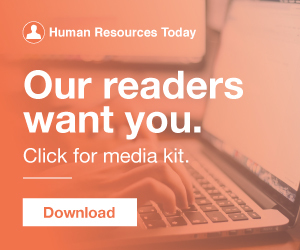 Catch up with the videos below to hear our global HR and Payroll experts answer your specific questions on: hiring, on-boarding, employment contracts, employment law, benefits, payroll, termination and more. This webinar focuses on Latin America. Catch up with the videos below to hear our global HR and Payroll experts answer your specific questions on: hiring, on-boarding, employment contracts, employment law, benefits, payroll, termination and more. This webinar focuses on Asia Pacific. If you want to discover how your HR team can prepare for Brexit, then sign up for CIPHR’s webinar on 28 February at 11am , hosted in partnership with AdviserPlus. In the 45-minute webinar on 28 February, experts from Adviser Plus will discuss how Brexit might affect HR teams.